What Are the Hottest River Cruises in Europe and Asia This Year? You May be Surprised! River cruising is gaining popularity—and why wouldn’t it? It takes you to places where nature, culture, history and exotic lifestyles blow your mind. Cruise journalist Jane Archer is happy to share her experiences. Enjoy the show! While most people are at least familiar with the idea of ocean cruising, you’ll be hard pressed to find friends that know all of the advantages that river cruising proffers unless they’ve voyaged the greatest rivers in the world, themselves. River cruises offer amazing views on all sides. Cities in Europe and Asia were built upon rivers because they served as the main route for transportation. Today, river cruises take you through the heart of some of the most amazing cities in the world. In between cities, there is always something to look at while you sail past small villages, vineyards, open fields, and rolling hills. There’s always something to take in. 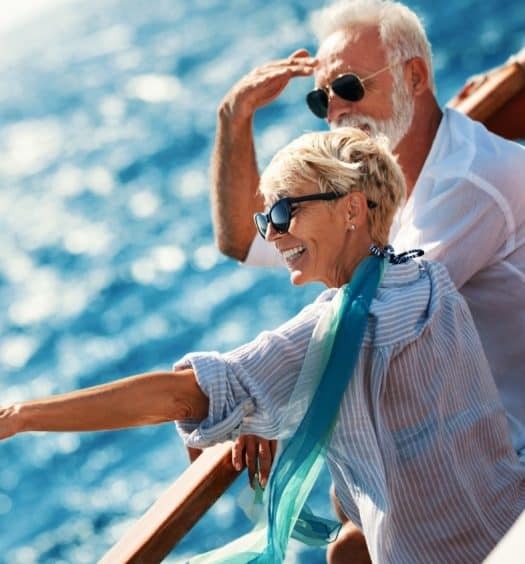 Unlike ocean cruisers, guests aboard river vessels don’t have to worry about the rocking and rolling of the ocean waves causing guests to feel queasy or unsettled. Sailing on a river is as smooth as sailing on glass. You can enjoy a glass of wine out on the sun deck and never once worry about it spilling. If you feel that it’s too easy to get lost on an ocean cruiser that holds several thousand tourists, you may prefer the much more personal experience of a smaller river cruise vessel. Smaller boats holding anywhere from 30 guests in some Asian river tours to 200 guests in Europe’s largest river tours are able to take passengers into the heart of some of the world’s most amazing cities. The Douro Cruise- Starting in the city of Porto, Portugal, the Douro River cruise takes travelers down river along the border with Spain. Guests are able to get off the boat and spend a day in Salamanca, Spain before returning back up the river. Guests enjoy the impossibly steep slopes of the vineyards in this port wine region as well as time in Salamanca and the faded elegance of Porto. The Rhone River cruise in France starts in Leon and cruises down to the Mediterranean, down to Avignon, and to Arles. There’s a great deal of history and culture to learn about on this tour- everything from Auvers-sur-Oise where Vincent Van Gogh lived to Avignon’s Palais des Papes where the Pope used to live. This three-river cruise in France starts in Bordeaux and tours some of Europe’s most beautiful vineyard regions. Now the most popular river cruise in Asia, this tour takes guests through Cambodia and Vietnam through some of the most extraordinary cities in Asia. Sale from Siem Reap to Ho Chi Min City and enjoy the many fantastic temples and lively, vibrant villages along the way. One of the newest routes takes travelers from YanGon right up to Mandalay now that Myanmar has opened up to tourists. You can also go from YanGon to Bagan or a shorter cruise from Bagan to Mandalay. Each of these cruises boast views of beautiful temples and pagodas. This cruise in Vietnam takes voyagers from Halong Bay to the great city of Hanoi, visiting little villages along the way where you can attend workshops and learn how the people in this region live. No matter your interests, there is surely a river cruise out there for everyone. Whether you prefer big cities or small villages, ancient history or modern cities, getting out and exploring the world is a great way to create memories, expand your mind, and embrace the amazing world we live in. Have you ever taken a river cruise? Which river cruise sounds most exciting to you? What appeals to you about river cruising? Join in the conversation! My Top 10 Cruise Packing Tips… and My New Travel Website!